Samsung has taken advantage of the growth telecommunication in West Africa and has joined the electronics competition by introduced several new stores in Nigeria. The electronics company has made Lagos and Ibadan home to the new direct-to-market retail stores for the first time. “This move is a demonstration of its commitment to ensuring that leading-edge, global mobile and personal computing devices remained accessible to Nigerians,” said Samsung. The Samsung Experience Stores, as the company calls them, provide consumers with a way to experience and interact with Samsung smartphones, tablets, IT solutions, digital imaging devices, laptops and accessories. 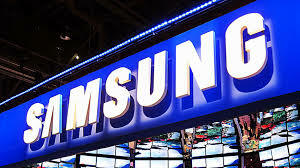 “This brings the total number of Samsung retail outlets in the country to 13, with six in Lagos alone. Prominent gadgets on display at the stores include the recently launched Galaxy S4 smartphone, Galaxy Note 8.0 and Galaxy Tab 3, all of which come with a 24-month warranty,” the company added in an announcement of product availability to customers.